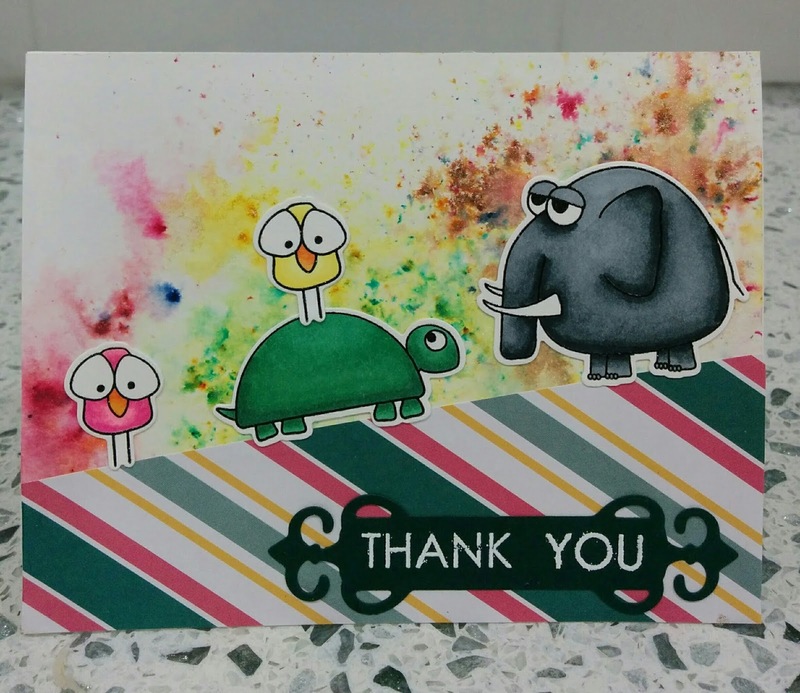 Here is another card made with Simon Says Stamp's Stacking Animals stamps and dies. Love this set! The background was made with Lindy's Stamp Gang magical powders. I used Yellow Rose of Texas, Peony Scarlet Red, Bells of Ireland Green and Mission Bells Brown, all from the Prairie Wildflower set. Thank you for visiting my blog today. Have a wonderful week-end! Love this! The background mix is so cool and I love your parade of fun critters! Thank you for playing along with us at the Simon Says Stamp Wednesday challenge!